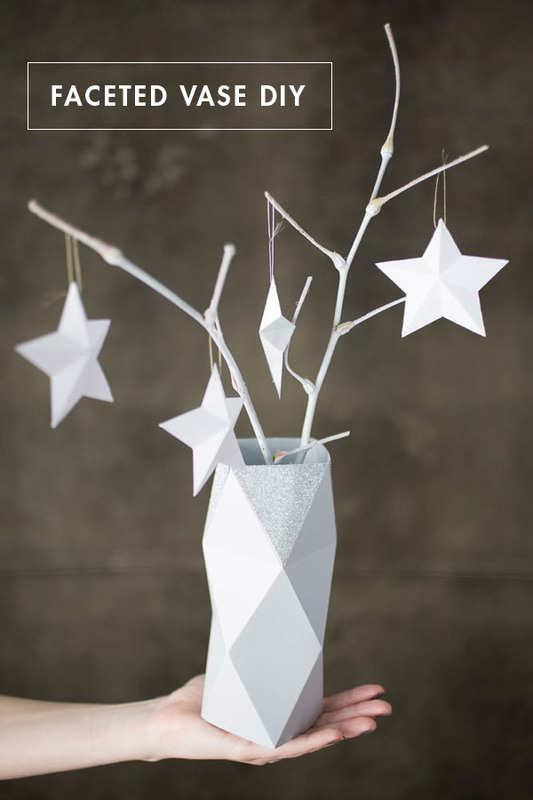 Whether you like geometric decor or want something minimalist yet eye-catchy for your home decor, this roundup is for you! We’ve gathered some cool faceted home decor items that will fit many interiors giving them a bold and fresh accent. These decorative hooks are easy to make with polymer clay. Choose a color pallet to suit your space or keep them neutral with a splash of neon brights if you want to add a colorful touch. They can be used to hang jewelry and little bits and pieces or your purses and even clothes. 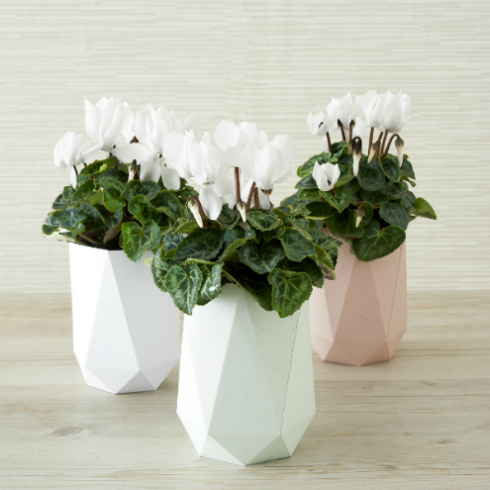 These ultra-modern and bold faceted vases will turn your plants and flowers into a real masterpiece! Read how to make them, paint them the colors you like and use them as a pen pot, makeup brush pot, or even a plant pot (just remember to add pebbles to the bottom of the glass for drainage). A girl can never have too many catch-all dishes, in my opinion! 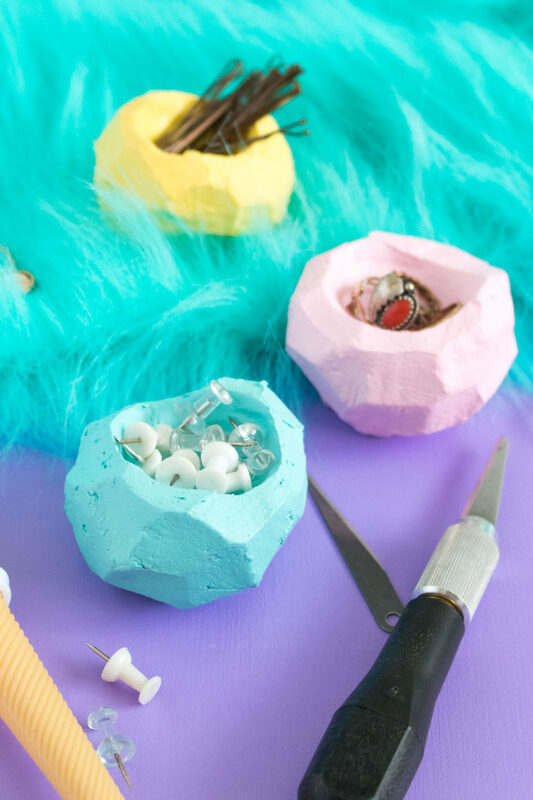 Having such small bowls around the house is a must, and these cute little DIY faceted clay bowls are great to collect all the clutter you have around. Make them with air dry clay, paint them with bright pastel paint and use them to hold rings, pins, earrings, etc. around the house. Enjoy! Have you noticed that cement is having a moment in design and interiors right now? It’s high time to make something of cement for your home, too! In this tutorial, you’ll learn how to make your own mold for a faceted planter, using cardboard and tape. 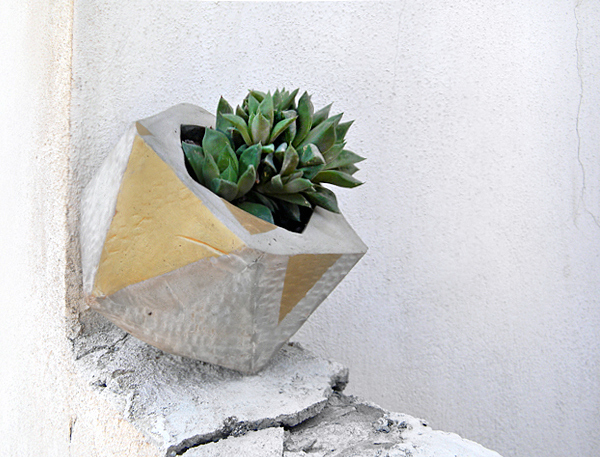 It’s a fun project involving mixing cement – and at the end you’ll have an amazing cement planter with touches of gold. 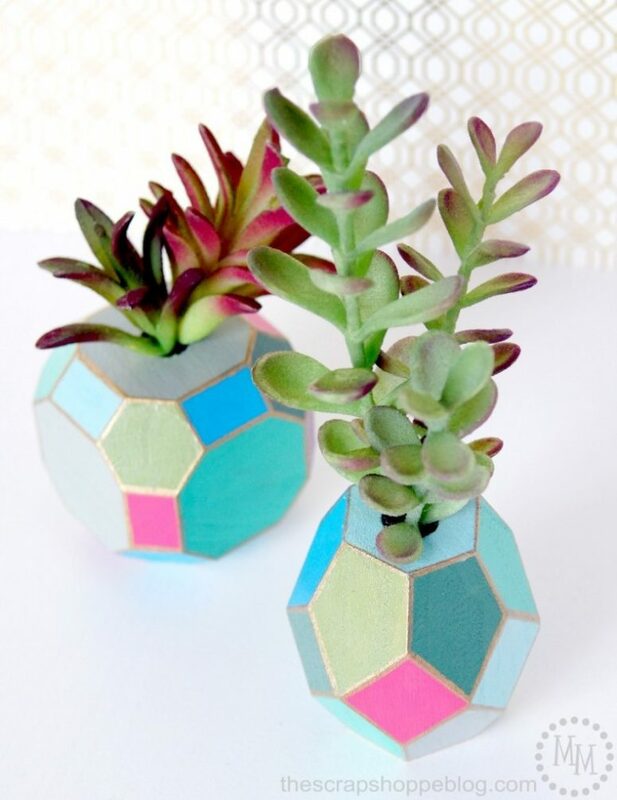 These bold multi-faceted succulent vases are actually not DIY ones, they are painted in various bold colors. the main thing is to buy some wooden faceted pieces or to go and craft them. The tutorial will tell you how to decorate such faceted vases in bold colors and add a bright gold touch to them. Make them and enjoy the bold look they bring! Even if you do as much as you can to stay paperless in your office, I’m sure you have lots of them. A paperweight will help you keep them in order even when the windows are open and the wind is going back and forth. 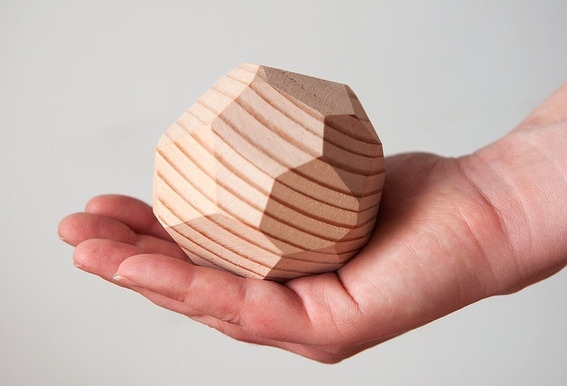 Make this cool faceted wooden paperweight! No need for a paperweight? 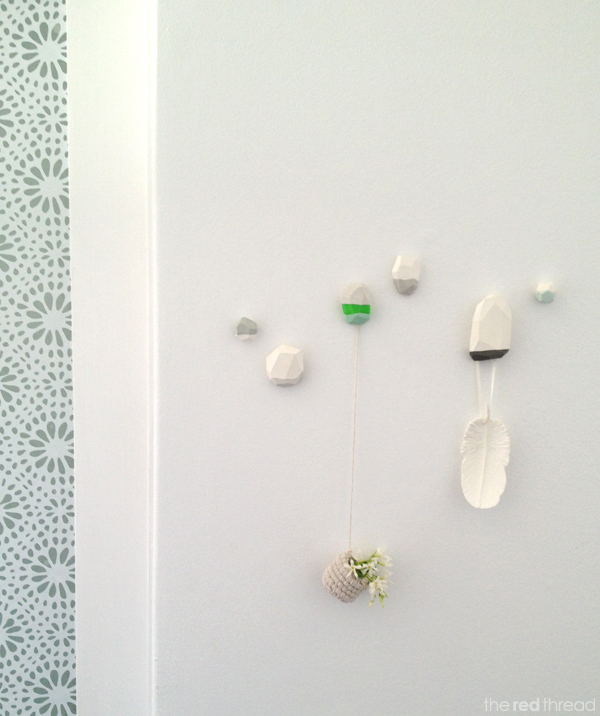 No worries, these make great little decorative objects to adorn your shelves, or dresser! Get crafty! I love the modern look when paper gets folded in facets. 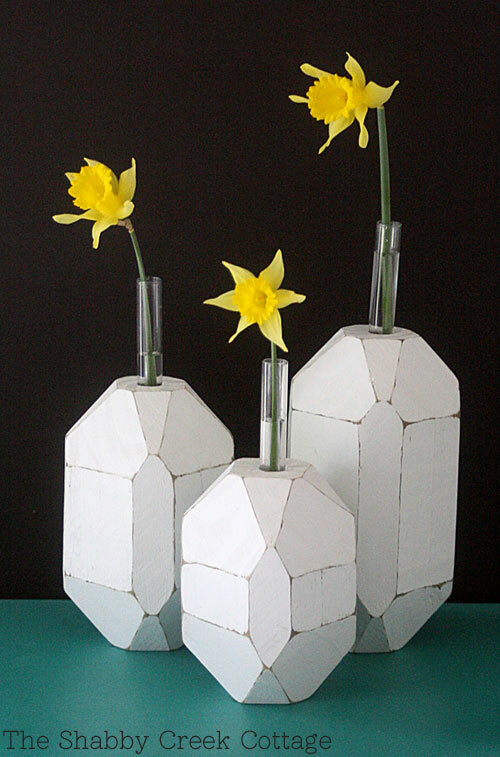 This modern paper vase tutorial is really easy to make and you can just slip it over a glass for a fancy look. It is easy to resize the template to go over a bigger or smaller vase if you need. If you want to put real blooms in the vase, add a glass with water inside first. 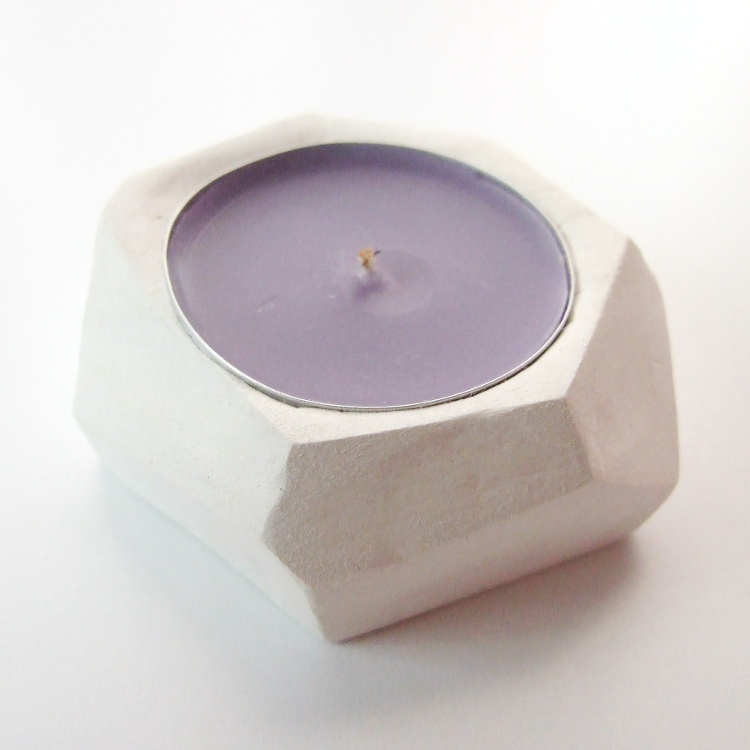 If you love faceted gemstones and geometric shapes that have been popping up all over the internet, you’ll enjoy a cool faceted candle holder. This piece is made of polymer clay, it’s pretty easy, fast and looks very nice and bold. If you want, you may also paint your candle holder in some bright color. 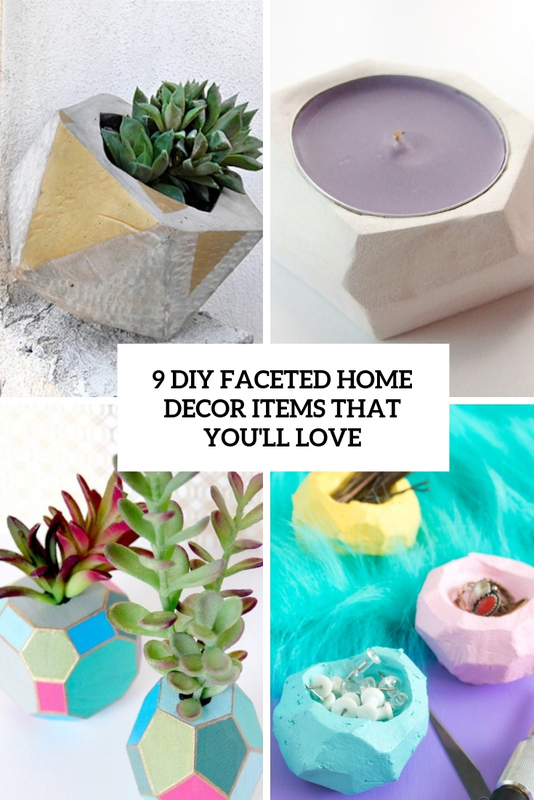 Facets are hot in home decor right now! Make cool faceted bud vases for your home of wood – this tutorial will tell you how to make it from the beginning to the end, and you’ll enjoy the whole process! I love the unfinished shabby look of the vases. And you?